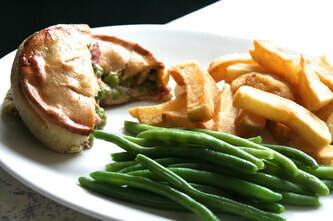 There is far more than fish & chips on offer in our 32 seater licensed restaurant. We have a selection of fish and non-fish starters either as individual portions or sharing plates. 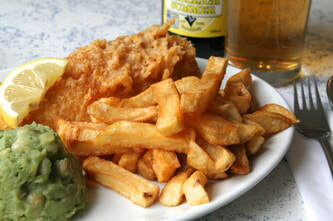 Of course, as a main meal, we have traditional fish & chips coated in our thin golden batter. For the really hungry, why not try our monster cod meal? 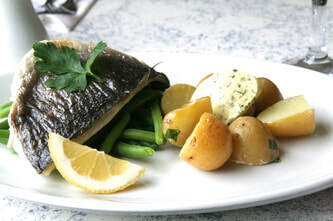 We also have a selection of grilled fish, most of which is caught locally, and is served with chips or new potatoes. 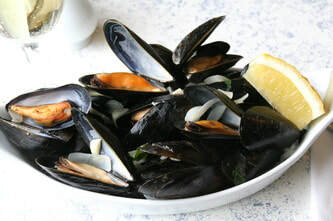 In addition to fish we have both on the menu and our regularly changing specials board, a selection of non-fish meals. 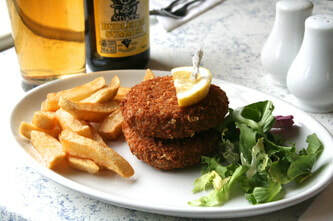 These include Devon-made pies and a range of vegetarian meals. We can also cater for gluten free diets. 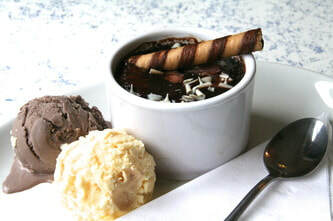 Afterwards why not try one of our sumptuous puddings? We have a selection of wines, beers and non-alcoholic drinks, including some local brands. Why not celebrate a special occasion or organise your next social gathering for business or pleasure at Budleigh Fish Café in Budleigh Salterton. We can cater for parties with up to 32 guests. Children are very welcome and we can help you organise those little extra touches to help you enjoy your dinner or lunch party.